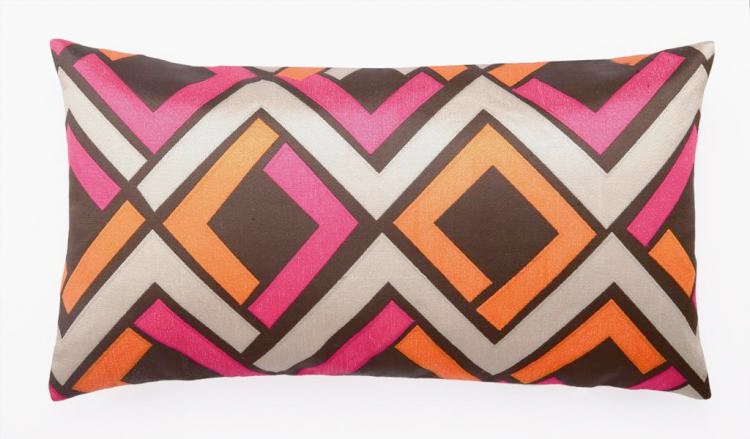 Purefecto: Happy Thanksgiving Raffle: Free Trina Turk Avenida Maze Pillow! Happy Thanksgiving Raffle: Free Trina Turk Avenida Maze Pillow! Happy thanksgiving. I greatly appreciate you signing up as a member to this newly started blog. To celebrate this wonderful holiday, I've decided to move up the raffle and change the prize. Instead of waiting till we reach the 50 members threshold, I will have a draw a week from now. The raffle is only available to members of this blog so to be eligible to win, you will need to sign up as a member (click on join this site button on the upper right margin). Winner will be randomly chosen from the member list that is visible on the site so if after signing up, you can't find yourself in one of those little squares, then you will have to do it again (chances are it's because you choose to follow privately via gmail, you will need to switch to follow publicly to be eligible). The prize gotten better too! So I'm giving away a Trina Turk Avenida Maze pillow. Pillow measures 26″W x 14″H (so it's quite large)! It includes removable down-filled insert with hidden zipper closure. This pillow is great for sofa, bed, or your club chair. It has four different colors so it's easy to mix and match with rest of your decor. A pillow doesn't get much more hip looking than this! It retails for $130 but it's free to my members. Apologies to my international friends - I wish I could extend these giveaways to you but legal restrictions prevent it. Thanks for understanding.